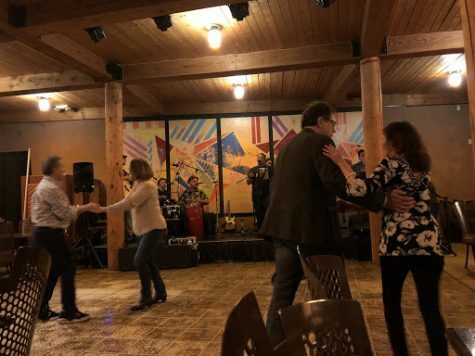 Salsa dancing and variations of the dance form are present today in communities through the United States, but many people do not know its origins. Often considered purely Latin American, Salsa music and dancing were also heavily influenced by Cuban and African culture during the movements of the Spanish conquistadors in the Americas. In fact, Salsa’s roots are not principally in Latin America but in Spain. African and Latin American influence gave specific movements to the dance and elements of music from their own culture, which have shaped Salsa into what it is today. One example of this influence is the Afro-Cuban bongo drum. The bongo drum is used as a constant baseline. Unlike traditional drum sets, bongo drums are played with hands, not drumsticks. Making its way through West Africa and Latin America by way of the slave trade, a new, evolving version of Salsa music arrived in the Americas. Many other styles of the dance also came from Latin America and the Caribbean through slave trading. These styles arrived in the United States after the Spanish-American war in 1898. The slaves that were transported to Cuba and other parts of the Americas played Salsa music, which spread the variety of Salsa music and dance forms even further. The elements of West African dance and cultural elements from Cuba made Salsa even more popular. Many pop artists such as Shakira and Jennifer Lopez have incorporated elements of Salsa music into their own pieces, which have become popular in the United States. A current example of Salsa influence in pop music is the song Havana, by Camila Cabello. Some styles of Salsa music and dance have even found a home for themselves here in New Mexico. 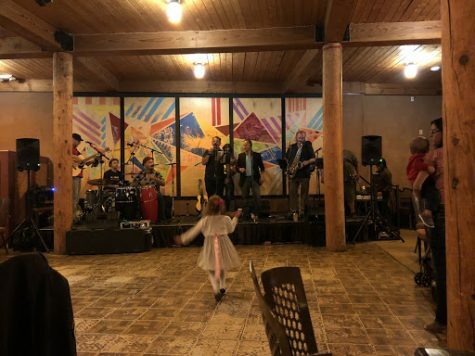 Pueblo Harvest Café, inside the Indian Pueblo Cultural Center, has Salsa performances every Thursday until the end of the year. Performances are scheduled from 6-9:30 p.m. on Thursdays, Fridays, and Saturdays, with live Salsa performances every Thursday. On October 25, a local group called No sotros played Salsa music. It was the first performance of the year in the Fireroom: the Café’s enclosed patio. As soon as I walked in with my family, we were greeted by friendly staff. Once we paid the twelve dollar cover charge, we were brought back to the indoor patio. The food was set in the back of the room next to a clay mud oven for making fresh pizza. The buffet provided a variety of options, fit for any diet, such as soft-shelled tacos and pizza. When we entered, the band was already playing and the dance floor was filled with dancing patrons. The group had eight performers and nine instruments. The most striking of these instruments were the two güiros, one metal and one wooden. These güiros were round and large with a handle and were played with a wood stick. This instrument makes a scraping or tapping sound, created by moving the stick up and down the ridges along the side. The different sounds created a lively and welcoming environment that drew everyone to the dance floor. I would recommend going to see a live Salsa performance to enjoy the energy of the music and the dancing. The performance brought together people of different ages and parts of the Albuquerque community. Overall, this was a wonderful night of good food and music, and I would definitely go back to see other performances as well.